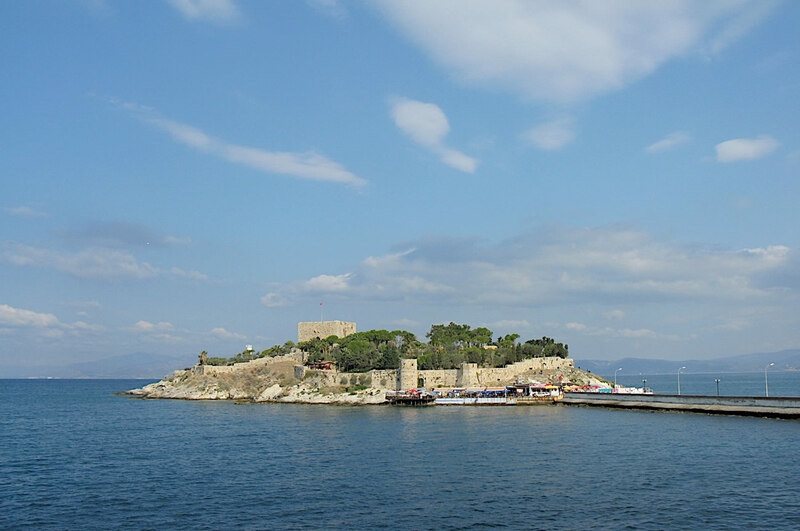 - Centrally located right at the Kusadasi Harbour. - The Only independent travellers place right on the sea front. - Next to the Grand and Orient Bazaar. - Featured in all the guide books. - Open all year round. - Recently refurbished the rooms. - Great value with friendly relaxed atmosphere. - 15 twin, doubles, triples, plus 2 family rooms (5 beds). - Large comfortable clean rooms with sea view. - 17 rooms with ensuite, direct phone, A/C, balcony, satallite tv, wireless int. - An attractive building with a lift & easy access for the elderly add disabled. - Laundry service / internet cafe. - BBQ fresh sea food, steak, chicken and Turkish dishes. - Bus, ferry, flight tickets arranged. - Level road front close to waters edge. - Mini library and free maps. - You to have a good time in Kusadasi! - Your host Mr. Happy.